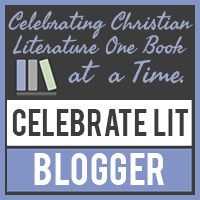 Recently I read a blog post by a young woman called, Why I don’t read Christian Fiction. I did agree with some of her points, but some I didn’t. Writing Christian fiction gives me a way to fulfill the Great Commission. In Acts 1:8 and Mark 16:15 (and other scriptures) Jesus commands the church to preach the gospel to every creature, teaching them to observe all things… you know the rest. However I have a hard time speaking to people. I can’t hardly talk to strangers about weather, much less something as important as their eternal relationship with Jesus Christ. But I can write about it. I can write entertaining stories that make you consider God’s gift of salvation and other lessons from the Word of God. As my characters grow in their relationship with Jesus, you can do the same. I hope that by reading my fiction, you are changed for the better, and maybe even learn more about our incredible Savior. I am a Christian Writer, not just a Christian who writes. Without Jesus Christ I have no story. Why do I read Christian Fiction? I can’t relate to characters or events in non-Christian books. I can’t imagine a life where Jesus Christ is not the center of it. My life revolves around my relationship with him and my relationship with my church family. I can’t imagine not having the peace and hope of God to get me through trials in my life. So I read Christian fiction because those are the kinds of adventures I want to go on. Reblogged this on Stories By Gina.